The Michigan recount is proceeding after President-elect Donald Trump’s campaign objected to it Thursday afternoon -- just one day after Green Party candidate Jill Stein formally filed for a recount there. Michigan is the third state in which Stein sought a recount, after Wisconsin and Pennsylvania. The Michigan Board of Canvassers deadlocked Friday on Mr. Trump’s objection to Stein’s recount request, meaning that a recount can proceed. But the state’s Republican attorney general has also filed suit with the Michigan Supreme Court to block the recount -- another potential roadblock that could halt recount proceedings if a judge agrees with the attorney general. There is no timetable yet on when the court will hear this suit. 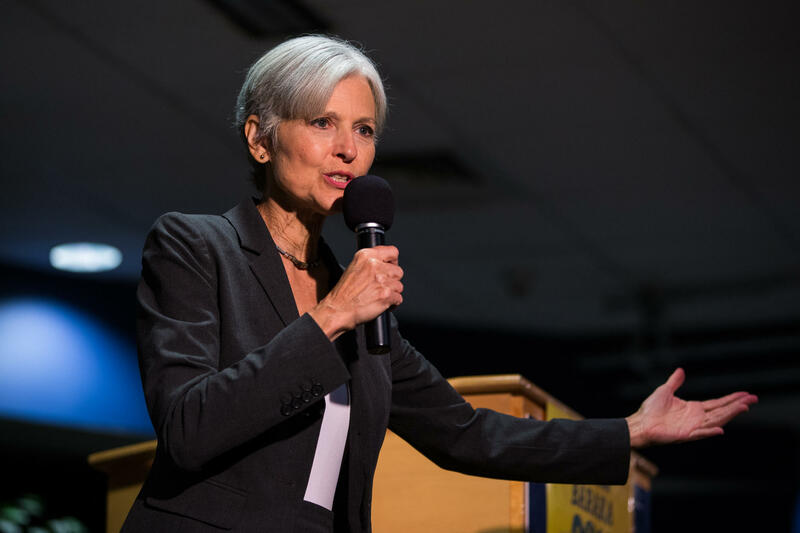 Stein has also already filed for a statewide recount in Wisconsin and a partial recount in Pennsylvania -- arguing that voting machine irregularities could have affected the final tallies in each state. President-elect Donald Trump won Michigan by a razor-thin margin, defeating Democrat Hillary Clinton there by just 10,704 votes (out of a total 4.8 million cast). The results were finally certified on Monday, almost three weeks after Election Day. Recount rules and requirements are different in every state. The processes in Wisconsin and Pennsylvania, the other states with pending recount efforts, show the rules governing them can be pretty complicated. In Michigan, the cost of a recount is $125 per precinct. There are 6,300 precincts across the state, meaning a statewide recount would cost $787,500. State election officials have suggested the real cost of the recount could be higher -- more like $900,000 -- but that additional cost would be the responsibility of the counties, not Stein’s campaign. State elections officials have authorized the 19 largest counties in the state to begin a recount on Friday and would continue through the weekend. Then, officials would move on to the surrounding counties. All ballots would be counted by hand in each county, with state elections officials supervising the process each step of the way. State Elections Director Chris Thomas estimated that the full recount could be finished by Dec. 9 or 10, assuming there are no legal objections from other candidates or campaigns. If another candidate were to contest the recount, the process of counting the ballots would be put on hold until the Board of Canvassers can rule on the challenge. However, with a challenge it could be difficult for Michigan to meet the Dec. 13 federal deadline for recounts to be completed. That’s just six days before the Electoral College votes, on Dec. 19, to formally elect the next president. So Trump can contest the recount? Yes, and they did on Thursday. Will a recount change the outcome? It’s very unlikely. Though Michigan is the closest margin between Trump and Clinton, it’s still incredibly rare for a recount to change the overall result of a race -- and a 10,000-vote margin is not easy to overcome. Stein is seeking recounts in three states: Wisconsin, Pennsylvania and Michigan. If the three states were to move into Clinton’s column, she would win the Electoral College with 278 electoral votes -- but again, this is exceedingly unlikely. Michigan, worth 16 electoral votes, has never held a presidential recount, but the effort isn’t without precedent. In 2004, the Green Party did succeed in obtaining a recount in Ohio in the presidential race. The New York Times noted at the time that the statewide recount of Ohio’s 88 counties resulted in a net difference of 285 votes, meaning that George W. Bush beat John Kerry in Ohio by 118,457 votes, instead of 118,775. The recount concluded on Dec. 28, 2004, nearly two months after the election took place.